Publishers have long suspected there may be some real money to be made in electronic textbooks—after all, textbooks have a captive audience of college and university students, and textbooks usually carry price tags far in excess of whatever latest Swedish crime thriller is dominating the bestseller charts. One problem, of course, is that many textbooks don’t translate well to current ereaders: they need often need high-quality color plates and the ability to display dense graphs and tables. 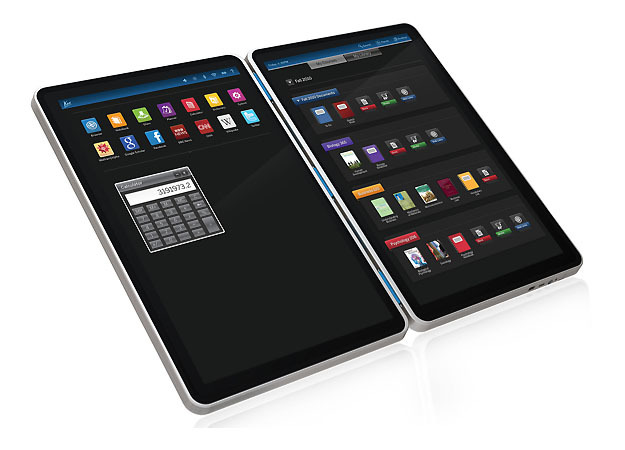 Kno Inc. has been working to develop an ereader to meet these needs, and today announced its 14.1-inch single-screen and dual-screen Kno readers will be priced at $599 and $899 respectively, and should start getting to customers by the end of 2010. Although those prices seem high, they’re in keeping with Kno’s promise to keep the devices under $1,000, and Kno argues the devices will pay for themselves over three semesters since digital textbooks through the Kno store will cost between 30 and 50 percent less than physical texts. The Kno readers are based on a Linux operating system running either a dual-core ARM Cortex A9 MPCore CPU or an Nvidia Tegra T200 CPU. The units feature one or two 14.1-inch LED-backlit color displays with a native 1,440 by 900-pixel resolution, 512 MB of onboard memory, integrated Wi-Fi and Bluetooth, microUSB connectivity, headphone and microphone ports, and a rechargeable lithium polymer battery pack that should get up to six hours of “normal campus use.” The tablets (of course) can surf the Web and support a wide variety of media formats, including Flash video. 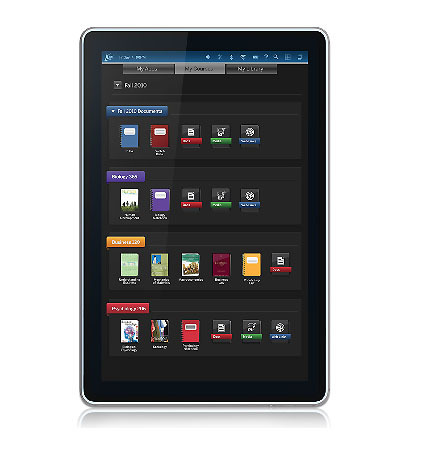 The readers feature a stylus input that enables students to hand-write notes on pages, enabling students to use the Kno as a textbook, notebook, and research tool, all in one device. Kno says it is working with a brace of textbook publishers (including Pearson, McGraw Hill, MacMillan, Bedford, Kaplan, Random House, and a number of university presses) to offer “tens of thousands” of the “most popular” textbooks and supplementary materials available for the Kno. Kno is accepting a limited number of pre-orders for the tablets now, with plans to get an initial shipment to customers by the end of the 2010. Kno hasn’t said when it plans to get the ereaders into full production, but we’d guess they’re targeting the 2011-2012 academic year.